Ah, a trip to the islands. I'm referring of course to the Channel Islands, and more specifically to Guernsey, the biggest of the group. 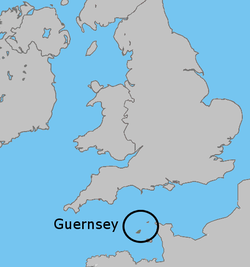 Guernsey, sitting in the watery crossroads between England and the continent, has seen more than its share of swashbucklers, Vikings, Normans, French, English, and Germans. The name is derived from several languages, including the Old Norse word 'ey' meaning island. 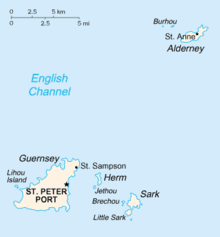 The rough translatiion of Guernsey is 'Corner Island." - Has its own language, a kind of Frankish Creole, spoken by only 2% of the population, but understood by 14%. That’s pretty much like Latin and Roman Catholics, n’est pas? A bit of modern history. The Channel Islands are the only parts of the British Isles to be invaded and occupied during The Second World War. The Germans built substantial fortifications, most of which are still in place. Bunkers and other fortifications polka dot the seascape. One wonders why. After all, the Brits had already left the place to its fate. In any case, the occupation was neither benign, nor innocuous. People were arrested. Citizens were shipped off to resettlement camps where they died. Executions were not rare. The so-called ‘Jewish Question’ resounded. A tour of the German headquarters, a cave really, shows a plethora of memorabilia, many of which are “Shoot on sight,” and “To be executed” orders signed by the German commander. Fortunately, most of the children and many adult islanders had been evacuated to England prior to the German occupation. Unfortunately, some of the children were never to be reunited with their parents. The people of Guernsey still celebrate their liberation each May 9th, and one of the popular beers is aptly named Liberation Ale. Ever heard of Guernsey cattle? The milk is golden, from the high concentration of beta-carotene. Unfortunately, with advent of commercialization in the U.S., pure Guernsey milk is tough to find. The good, the gooder, and the best of Guernsey Island, in no particular order. People on Guernsey are friendly. Tourism depends on that, but even for a tourist town, Saint Peter’s Port (the Capitol. Pop.18, 000) is clean, welcoming, and not a bad place to holiday. Many seaside cottages are holiday rentals. But, the main business of Guernsey is business, as in banking. You might call it a smaller Switzerland. You don’t need a tour guide to get around St Peter’s Port. The castle and German headquarters, as well as the shopping areas, are an easy walk. To venture beyond the city, an inexpensive bus ride, from the middle of downtown, roams the island. Castle Cornet dominates the town and there are five museums within its walls, including the Guernsey Light Infantry (WW I) and RAF museums. The castle has stood guard over the harbor for eight centuries. The real pleasures are wandering St Peter’s Port lazy streets, sniffing the sea air, enjoying the scenic wonders of rocky coast, marinas filled with boats, and buildings festooned with flowers. Don’t neglect to dodge into a pub to quaff Liberation Ale, and enjoy some fresh fish and crab. Hey, you’re on holiday! Wow, so many places to see and explore. Looking forward to having you show Ernita and I some of the European sites next summer.